Junior year was supposed to be calm. I was going to lay low and stay out of the limelight, exactly where I liked to be. My plans were right on track. I was getting straight A’s, helping with the school play, and getting home way before curfew. Well, I was … until I met Jasper. I swear the earth stopped spinning that first time we made eye contact. His sky blues paralyzed my brain, and I had zero control left over the rest of my body. What was I doing? Jasper was too young, too immature, and too freaking beautiful. My biggest mistake was allowing him to get in the car with me after practice that night. It was too easy to lean in and smell his cologne, and way too easy to get swept up in the whole idea of us. Trying to protect myself from him, I put up walls – walls that he knocked down every single chance he got. He was getting to me and whether I liked it or not, he was going to eventually win. Finally giving in to temptation, I allowed myself to get swept off my feet and became part of his world. I never realized that to be part of it, I had to be part of them. At a bonfire on a beach the summer after my junior year my life changed forever… I became a Hemlock girl. I wasn’t expecting to like The Hemlock Girl as much as I did. To be honest, I thought that there was going to be no plot and the drama was going to be flying everywhere. I was right on the drama part. As for the plot, I was surprised. There was depth to the plot. The plot of The Hemlock Girl is about Karissa and Jasper. Karissa is a junior in high school. Her plans for her junior year was to stay under the radar and keep doing what she was doing. Then she meets Jaspar and gets to know him. Falling for him, Karissa keeps Jasper in the friendzone. Until the day where she couldn’t and their relationship went beyond friendship. When a tragedy happens that affects everyone, what will happen to their relationship? Can it withstand what happens? Let’s talk about the characters at first. I will admit that I found Karissa, Missy, Dakota, Paul, Jasper to be immature and annoying. But, they were supposed to be. They were teenagers. It was refreshing that a young adult book actually portrayed teenagers as teenagers. I liked how the author took her time getting around to Karissa and Jasper’s relationship. I like how Karissa had to overcome her issues to agree to go out with Jasper. I didn’t like how she see-sawed for the majority of the book. In a way, she was messing with Jasper’s head. But, he was doing the same thing. I mean, he was dating Missy. Who I couldn’t stand. I thought that the author handled Jasper’s attempted suicide with tact. She showed the effect that it had on the people around him and how they reacted to it. I was a little surprised that Karissa took so long to visit him when he was in recovery. I was also surprised at how angry Jasper’s mother was with her. But if my kid was in a fragile mental state and his on again/off again girlfriend showed up, I would have acted the same way. What I wasn’t prepared for was what happened at that visit. It broke my heart into little pieces. I would give The Hemlock Girl an Young Adult rating. There are sexual situations. There is language. There is mild violence. I would recommend that no one under the age of 16 read this book. I would read The Hemlock Girl. I would also recommend this book to family and friends. 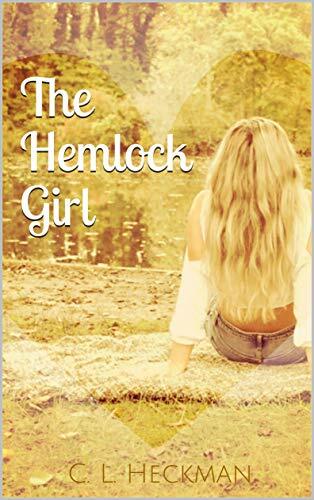 I would like to thank the author for allowing me to read and review The Hemlock Girl. All opinions stated in this review of The Hemlock Girl are mine. Have you read The Hemlock Girl? Young Adult books? Like them or not?